Pregnancy in the age before peesticks. 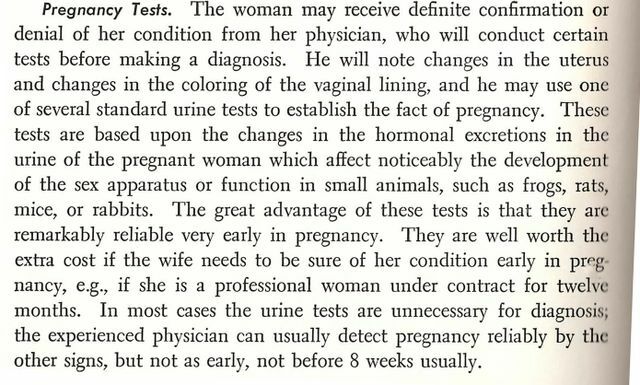 Can you imagine blogger pregnancy announcements back then? "I don't know, you guys. Do you see a second line on this dead rabbit's dissected ovaries? No? Eh, maybe I tested too early again. I'll head back out to CVS for another rabbit tomorrow. You know, just to be sure."